This database of members is an initial part of the project as it is intended to Create a fully searchable database. to search on this page most web browsers have a built in find facility. The standard windows command for this is ctrl + F.
To help us judge the success of this database when contacting any of our members please let them know where you found their details. Oak timber framing new builds or repairs. Oak garden furniture, benches, tables or bespoke designs. Interior joinery designed and built to the customer’s specification. Hazel hurdles and hazel beanpoles. 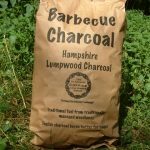 charcoal Various small coppice items-spoons, candle holders, bird boxes and solitary beehives and fairies doors dinning sets,giant pencils, sell wood to turners, small 2ft willow hurdles and range of other coppice products. Low impact timber extraction using a pair of heavy horses. pole lathe turned bowls and demonstrations. Ecologist and woodsman providing small woodland management works(including coppice management/restoration). hedgelaying and ecological/protected species advice. Coppice products predominantly from hazel. hurdles, bean poles, pea sticks, spar gads, all sizes of hazel rods in large quantities. basketry, willow work, hedgerow baskets and rush baskets. green woodworking and outdoor education. All of our courses are tailored to individual and group requirements however examples of areas covered are : mental health, resilience, personal skills, management skills, science education and arts/crafts.